Since the beginning there were differences within Klal Yisroel. 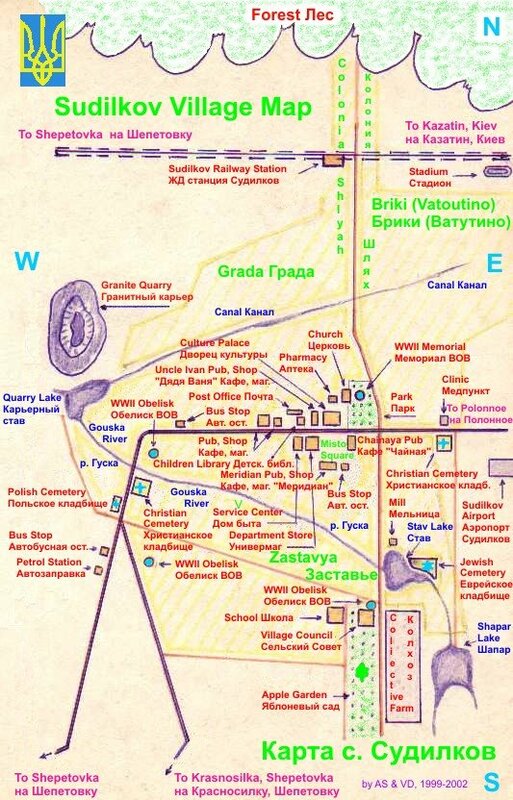 Each tribe had their own nusach, minhagim, batei dinim, etc. In the days of the Mishna, there were great differences between the students of Hillel and Shammai, and so it has been throughout the ages – differences have always existed. Indeed, this has also had its problems – from the passing of R' Akiva's talmidim during sefira, to the machlokesen that lead to the Churban, etc – but it would seem that it was not the differences that were the problem per se, as much as the inability to get along harmoniously with those differences. So we should recognize that although Klal Yisroel is one nation and one people, different schools of thought within Klal Yisroel are (and always have been) legitimate. Skipping ahead, we cannot help but notice the significant differences between regional practices: Ashkenazim & Sephardim have quite distinct differences; Among Ashkenazim there are many differences between German Jews (Yekkes) and other Eastern Europeans; Italian Jews have also many distinctive practices – the list goes on and on as we subdivide further and further. But then there are changes that aren't regional, and that's what we're getting to: differences based on ideology and beliefs instead of region. What makes Lubavitch different is that they are hard to classify: Are they a Chassidus? If so (as it would seem that they are) why are they so different from other Chassidim? Are they Lithuanians? If so (and being that Lubavitch is located in the Lithuanian region, it would seem that they are) then why are they different from other Lithuanians? Basically, the question is really, how do we classify Lubavitch? And that is half of the answer. Lubavitch does differ from other Chassidim for various reasons, but not the least of which is that they maintain a number of regional (Lithuanian) practices (from pronunciation and dress to things like not stealing the afikoman or saying tachanun on a yahrzeit) as opposed to their Ukrainian / Polish or Rumanian / Hungarian counterparts – while at the same time they share many "Chassidic" practices such as nusach haTefiloh, and general Chassidic concepts and values. Thus, Lubavitch is a mixture of various different ingredients from most other groups – and that sums up the first half of the reason for why Chabad is so different from everybody else. With all that said, there has been a clear progression – especially in the last generations – towards very distinctive differences. Lubavitcher seforim of Minhagim have appeared fast and furious. Chabad has more clearly marked out distinctively different ways to do so many things that there is very limited overlap left – but it was not always this way. In generations past there was much less emphasis on minhagim, and people generally followed their family traditions; only recently do Chabad Chassidim attempt to follow every practice of the Rebbes either quoted or witnessed. In fact it is written in Otzar Minhagei Chabad (Tishrei, P.163) how while traveling, the Rebbe Rashab once directed R' Zalman Havlin (who was leading the davening) not to say slichos on 17 Tammuz, as the Alter Rebbe did not say it at his minyan. When the surprised R' Zalman noted that in shul in Lubavitch it was customary to say it, the Rebbe Rashab responded: "The minyan in Lubavitch is no proof, because in Lubavitch everyone does as his heart desires." But things have changed somewhat, and we can only speculate about the reasons. In the last 50 years we have seen Lubavitch directed more towards a military structure with a revolutionary spirit – and all revolutions need an identity. Sure, each specific custom or practice has its own specific rational and basis – and they all have merit – but it serves other purposes as well. Just as 300 years ago, the revolution called "Chassidus" brought different attitudes, emphasis and flavor – all as part of the movement's revolutionary message – the Rebbe, and Previous Rebbe before him, sought to create yet another awakening and another revolution. The simple truth is that every revolution fades and turns into the establishment; when this happens its practices become the establishment's as well. But if one seeks to keep the revolution alive, to reach the heights that were once being sought, it is also important to keep the movement fresh and distinct. As the Kotzker Rebbe famously said, "If we continue to do what we did, we will continue to be what we were." Just as early Chassidim brought change – often radical (shechita for example) – Lubavitch, in my opinion, has sought to do the same. It seeks to maintain a dignity of difference and a message of perpetual revolution. And while that may have its drawbacks, it certainly has its merits as well. A Jew is called an Ivri, meaning from across the river. The significance is that we are foreigners by definition: by definition we are anti-establishment; by definition we don't belong; by definition we are different. It should probably even be normal for Jews not to seek to fit in, and perhaps even to the contrary…. I am puzzled by your comment "It seeks to maintain a dignity of difference". The reality is that if/when a Lubavitcher davens in a Minyan which does not follow Minhogei Chabad, they attempt to ignore the Minhag Hamokom. Furthermore, the Lubavitcher Rebbe zt"l encouraged this practice as quoted in Sha'arei Halocho uMinhag, and only suggested that someone desist if it was causing a machlokes. Where I daven on Friday night, this is typified by the young turks no longer waiting 5 seconds so that those who say "Veshomru" can do so. For well over 3 decades there was the 5 seconds of tolerance. This isn't just a revolution. It is a hostile takeover bid. It relates to the notion of "Shaar HaKollel" which seeks to delegitimise the variations of "Toras Imecho". PS. There were other Chassidic Groups who did not behave like their fellow Chassidim. Reb Simcha Bunim of Pshyscha and his followers come to mind. It is not accurate to portray even a homogeneity amongst Polish Chassidim. Surely the fact that the Magid's own disciples acted differently is at least grounds to not try and uproot the Minhogim of others? "The reality is that if/when a Lubavitcher davens in a Minyan which does not follow Minhogei Chabad, they attempt to ignore the Minhag Hamokom." Big chutzpah, and that from the people who claim to love all Yidden. Yeah, sure, step all over me and my ancient, venerable, and holy minhogim, I can feel the phony 'love'. Reminds me of the 'love' proclaimed by missionaries. "Furthermore, the Lubavitcher Rebbe zt"l encouraged this practice as quoted in Sha'arei Halocho uMinhag"
Wow, that is pretty damning. We might have had suspicions beforehand along such lines, but that it can be traced to an explicit directive from the Rebbe ? Wow. That is something that should be known and publicized. Isaac, what exactly bothers you? That someone belives in the concept of maalin bakodesh? As you said, the only reason not to daven their own nusach is to avoid machlokes. I fail to see why you take issue with that. As to some individual that waits too little time for the minyan, what the heck has that to do with anything? "Surely the fact that the Magid's own disciples acted differently is at least grounds to not try and uproot the Minhogim of others?" Isaac, what do you mean? Everyone knows that in fact talmidei Hamaggid changed countless minhagim. I am very puzzled by your statement here, me amigo. This is a very insightful examination and study and I agree with all the major points. I am happy that the author stressed the fact that Classic Chabad were Litvishe Yidden and observed a good deal of the minhogim specific to that eda kedoshah until 1939. As I have written elsewhere, many of the present day Chabad minhogim although supposedly being the Minhogim of the Schneerson family are probably the specific minhogim of Rav Levi Y. Schneersohn the father of the last rebbe. Levi Y. Schneerson was a great kabbalist and a very independent minded Chassid who was not always in agreement with the titular leaders of Lubavitch. My many conversations with the late Rabbi Barry S. Gourary (only grandson of the Rayaatz) were oft interupted by Gourary telling me that he has no recollection of such a custom in his grandfather's home. This was repeated many times to me. As an example he cited the erection of a Matzeva within the Shiva period. In the 2 volume set which I think is called Bemesibos Hamelech which transcribes the table talk at the Holiday meals of the Lubavitcher Rebbe, we often encounter his brother-in-law questioning specific minhogim and the like. It's difficult to believe that the Rashag who was at his father-in-law's side for close to 30 years would not have noticed such customs. Finally, although the customs serve as a unifying force in the new Crusade which Lubavitch has undertaken, they derive from the actual disintegration of classic Chabad. 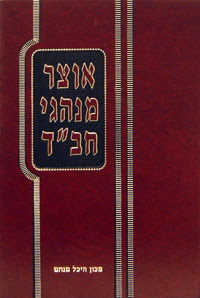 As the serious study of Chassidus declined and the complete disappearance of Chabad avoda, the Rayaatz and even more so his successor replaced these identity marks with new icons such as a newly discovered picture of the Baal haTanya, a new creative history of the Baal Shem Tov and the Avos haChassidus, a journal (HATAMIM). Eventually after 1951 the customs were the new identification points of a Chabad person. As Rav Oshry told me in Kovna Lubavitcher chassidim were known for their devout prayer and serious manner, now they are known for their strange way of wearing a Tallith (Barry Gourary has no memory of his grandfather wearing his tallith the way the Chabad people do today) and their way of kissing the Torah when receiving a an aliya. Thus substance was replaced by externals. While I too daven Nusach HoARi as edited by the Baal haTanya, I would not do that leading services in an Ashkenaz shul. Truth be told the Rashab already saw this disintegration and took steps to thwart it (the creation of TTL). As the author said this is a weighty subject. This was enlightening for me, and seeks to address something I've wondered about for some time now. And seeing the comments is, well, intriguing. And I pretty much I agree with your points. By the way, as far as I know, the minhag about the Talis was an innovation by the Rebbe in order to split the difference between the custom of his father (no stripes) and the custom of the Previous Rebbe (stripes), and that nobody claims that it was customary before that. I've seen some Lubavitchers daven from the amud at local shuls using elements of their minhag as against the local minhag. Maybe the first time, it's a simple mistake, but when they have davened at the same local shul over time, it's hard to consider it a mistake anymore. I've seen other Lubavitchers conform to the local minhag under the same circumstances. As people have written in some other places, an idea that customs introduced in the last 50 years are custom of Reb Leivik is babe maisa. Customs were not disseminated widely before as belonging mainly to the Rebbe's family. Then, starting from FR, there was an attempt to wider disseminate and standardize the customs. The Rebbe asked FR's permision for writing down and spreading the family's customs and an agreement was given. During his time, the Rebbe encourage following of customs which were handed down to him. At the end of the day, it does not matter so much to what degree the Rebbe's customs derived from where and whom. He was/is Nossi HaDor -- at least for his chassidim. That's all that mattered. Regarding the article: ASJ makes a number of good points. I believe, however, that he failed to mention specifically the issue of the "revolution": bringing Mashiach by creating dira betachtoinim in our generation. It's up to a shul to enforce its own minhagim. If a shul says that the Shatz MUST daven the nusach of the shul, the case is closed. Va: You can't avoid the fact that Chabad minhogim today aren't the same they were earlier, especially since they weren't so strictly uniform earlier at all, and in different Lubavitcher locations there were was of different stuff. Also take in account Kopust / Nezhin and other minhogim that can vary. Just for the record, I don't accept the claim that most of these minhagim are R' Leivik's. No doubt some of them may be, but I doubt very much that there are so many that originate with the Rebbe's father. The Rebbe had the utmost respect and bittul for the Previous Rebbe, and most certainly paid attention to his hanhagos very closely - and claims that the Rebbe tried to pass off R' Levik's Hanhogos as the Shver's are really specious. First of all, I personally agree that if you are the Sheliach Tzibur in a shul, you should daven the nusach of the shul (assuming there is an established nusach there) – case closed. However this is not a “Chabad” problem and it was a criticism of Chassidim of all stripes going way back. Furthermore, I have seen people of ALL NUSCHAOS daven their nusach whether it was the minhag of the shul or not, and I suspect that the only reason you’re attacking Chabad for this is because you simply don’t like them (let’s be honest here). Indeed, Lubavitchers are faced with the problem more often than others because Lubavitchers are everywhere, and most others stick within their own minyanim – therefore the problem will statistically arise with nusach Chabad more often, but I have seen people daven Ashkenaz at the Amud in Sfard and Lubavitcher Shuls, and I have seen people daven Sfard for the Amud in Ashkenaz and Chabad Shuls. Do you claim that this is an invalid thought?? So, sure, unless the will be a machlokes (i.e. the kehilla objects) why shouldn’t he daven with that nussach? Now, personally, I err on the side of respect for the shul that I am visiting, and I think that’s the best policy, I can still understand where our Lubavitcher friend davening elsewhere is coming from. But I also realize that many people are offended by the Lubavitcher sense of superiority, but that’s is an old problem that comes with all revolutions… I hope this helped somewhat. CE said: "I suspect that the only reason you’re attacking Chabad for this is because you simply don’t like them (let’s be honest here). " I'll be honest. I daven in Chabad, went to School at Chabad, my kids go to School in Chabad and I don't dislike them! I daven Sfard and have an Amshinov and Radeshitz blood line. I do have issues with various aspects: this is one, belief in Moshiach min Hamaysim is another. It is no secret that according to accepted Halocho, one must respect the Minhag Hamokom, irrespective of one's own feeling that his own Minhag or Nussach is superior. Sha'arei Halocho U'Minhag makes it very clear that a Lubavitcher is enjoined to push the boundaries as much as possible and try to ensure that Chabad Nusach and minhogim are used in any Shule. Only if it will cause a palpable machlokes should one desist. I feel this is not the hanhogo of any other group, be they chassidic or otherwise. I have only seen this practised by Chabad. I don't think this is an issue of an old revolution. This is an issue that there is only one way and all other ways are inferior or invalid or both. "Osid HaKodosh Boruch Hu La'asos Mochol L'Tzadikim"
Why does he make a circle for the Tzadikim? Surely there should be a line, with the Gedoley Hador nearest the top, and depending on which group one belongs to it will be those Gedolim who will be at the top of the line. No, says Rav Kook*, it's a circle because each Gadol/Derech is equidistant to the Eybishter even though they have a different derech. Hashem is in the middle, and they are all in a circle around him. I am much much more comfortable in that sort of approach to Yahadus, even if I follow a particular dereach/hanhogo/minhogim. *I think I have also seen this view quoted in the name of Reb Shlomo Zalman Aurbach as well. May I note the following. Nowhere did I write that MOST of the present day Chabad minhogim originate from Reb Levi Yitzchok Schneerson, I said many. In reply to VA. While in other places I tend to be very sarcastic and "opiniated" I have attempted to comment in terms of "Cold Scholarship" on this site. But you libel a dead person who was the only grandchild of the previous Lubavitcher Rebbe, which merits a response. Frum. Did you know Barry ? Did the secretariat of the Rebbe know Barry? Barry was active in the Young Israel of West Hartford and his daughters attended Jewish day schools. I will leave it at that. It's strange that a follower of a Chassidic court that stresses Ahavas Israel at every point and attempts to find zechusim for almost anyone should make this sort of statement. In every Chassiduth there are senior chassidim and family members who do not accept the new regime. Chabad is no different. 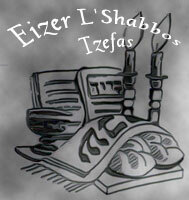 After the death of the Rayaatz in 1950 there were 2 sons in law both able to step in as rebbe. Many Chabad people supported the Rashag including his own son. Barry Gourary. After the Ramash became rebbe in 1951 a number of senior chasidm and family members passed up the chance of becoming followers of the Nasi hador. They included the chief rabbi of Bnai Brak and Rabbi Schneur Zalman Schneersohn. Many other senior Chassidim adopted a luke warm attitude at best. As far as a thief, well no Bes din ever found Barry Gourary guilty of anything and it took Judge Charles Sifton of the NY Supreme Court over a year to decide this case. It was not clear cut. Many if not most families have inheritance issues. This is especially true in Rebbeische families. Some disputes are over leadership others are over property, (as we discuss this matter several such cases are in judgement) but no one has ever said that disputing an inheritance (hand written will by Rebbetzin Nechama Dina Schneersohn supported Mr. Gourary's contention in this case) "possels" one's testimony. Is that a Torah Chadosha too ? The folks in Crown Heights have even attempted to make up a fake psak by a leading posek in Williamsburg as if this Zaddik Rav FH paskened without listening to the other Tzad ! So VA your comments are more appropriate to a farbrengung to instill hishkashrus to the Nasi hador not on an open forum seeking to libel a dead person who is unable to defend himself. Hayitochen? I don't disagree with your post, but I think there are a couple points that you overlooked. 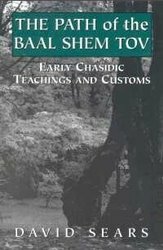 I’ll speak to you in person, but something that deserves mention is that there was a time when community practices were very different from place to place, kehila to kehila, and rov to rov. If you research old communities you will find an incredible number of practices that almost nobody follows today. But a few things happened (from printing sforim such as the Mishna Berura, to various strong leaders (such as the Chazon Ish, R’ Aharon Kutler & the Satmar Rov) who’s views have become accepted, to the combinations of communities and yeshivos, not to mentions the great wars) that all lead to a certain “homogenization” that has taken place. With these developments many of the old differences were wiped away and there are less differences and distinctions as a result. Chabad, however, has remained outside that process and thus has remained more distinct. So, it’s not simply that Chabad changed, but in addition to that everyone else became more similar. On Chabad minhagim, see my post here.